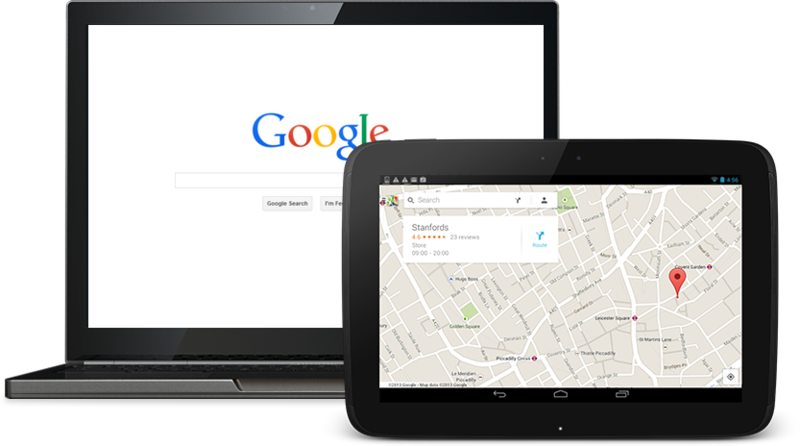 Google My Business is a free tool offered by Google to help businesses manage their presence on Google owned properties such as Google Search, Google Maps and the Google+ social network. Originally, businesses created a page on Google+, Google’s social network, for users to find. 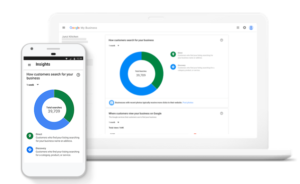 Google streamlined business listings by launching Google My Business in 2014 to provide businesses with a one-stop-shop to input all of their business information. Google My Business makes it easy for patients to find you! Google is the most popular of the big three search engines, owning more than 80% of the total search volume worldwide. Over time, Google has made many changes to how it displays search results for patients looking for information about health related conditions, injuries, and treatments giving preference to healthcare providers located closest to the searcher’s physical location. In order to determine a healthcare provider’s proximity to a patient searching for healthcare information, Google relies on the data in a verified Google My Business profile for the practice and or provider. This means if a patient types “Phoenix dentist” into Google and you have a Google My Business account, your practice has an opportunity to appear as a top listing. If you do not have a verified Google My Business profile, chances are you will not appear. 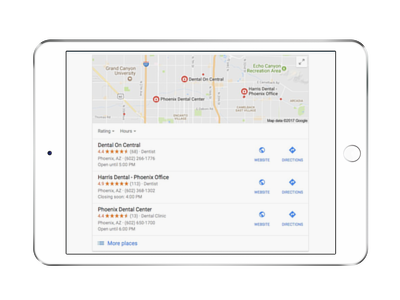 Registering with Google My Business is how you optimize your practice getting found in those critical local searches. According to Google’s research, businesses that maintain a full profile on GMB get 5x the views than those that haven’t claimed their profile. Having a verified Google My Business profile for you and your practice is one of the keys to success online. Sixty percent of patients will click on your profile if you show up in Google’s local search results, and your Google My Business page plays a key role in your ranking. The most complete, and the richest listing is often the difference between obtaining that 3rd spot on the local results for a patient searching for services on the opposite side of town (or county). It’s also the difference between ranking 4th or 5th on the top 20 results, as you’ll soon find that some competitors are not aware of, and doing the things necessary to be listed highly in Google search results. This means that you can still outrank your competitors, even if they are in closer proximity to the searcher. Online reviews, especially on your Google My Business profile is another indicator to Google that your presence online is authentic, and that you are genuinely interested in engaging with patients online. 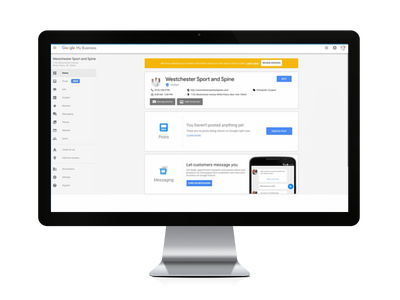 With a registered and completed profile, you can continually earn reviews on your Google My Business profile which is a great way to ensure you are listed ahead of competitors in local search results. As you continue to collect more reviews over time, you’re further protecting your placement in local search results, making it more difficult for you to lose your placement. Google My Business is critical for your local SEO. 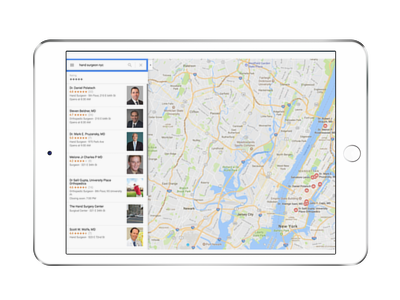 As we stated earlier, when a patient searches for a medical provider on Google, instead of seeing doctors nationwide, Google uses the patient’s location to display local doctors in the top results. When a user searches for a type of medical practice, Google shows the top three Google My Business profiles near the user in the form of a map indicating clinic or office location and then a list of three providers, with basic information (name, address, phone, website, directions). Google determines which businesses show up in the 3-pack based on relevance, distance, and prominence (see more below on how to optimize your profile). If you haven’t claimed your listing and optimized it, there’s very little chance that you will appear in those top three results. Your Google My Business listing will also show up in Google maps. If a user types in hand surgeon into Maps, Google populates the search with nearby hand surgeons. Listings that are relevant, nearby, and follow Google guidelines will show up near the top. How Does Your Google My Business Profile Look? How’s your Google My Business profile? Does it show up in search results? If not, your patients aren’t finding you. A 2013 study showed that the top two search results got over half of the search traffic. If you’re not in one of the top two to three results, you’re not going to be found. Setting up your Google My Business page is fairly simple. On the Google My Business homepage, click the “start now” button. You’ll be redirected to a map where you’ll type in either your business name or address. Once you hit search, you’ll see a list of potential matches. If your business isn’t on the list, just click on the link at the bottom of the search results to add your business. When creating your business, be sure to fill out each of the following pieces thoroughly. It’s important to have a consistent name, address, and phone number (NAP) on your Google My Business page as well as on your website and around the web. Google sees each citation of your NAP around the web, and if there are inconsistencies, it will lower your search rankings. 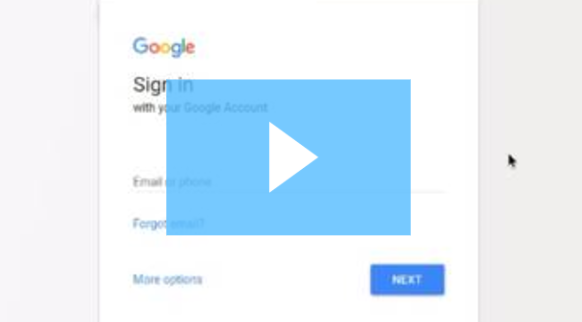 Be sure to use a physical address–Google doesn’t allow P.O. boxes to be listed as addresses or mailboxes in remote locations. Phone numbers should also be local numbers, when possible. The URL you list should be your website, not a social media page or a landing page. Consistency is also important here–if you have multiple URLs in your mentions around the web, Google views you as untrustworthy. Using a consistent URL is just as important as a consistent NAP. Once you’ve entered your business information, Google sends you a postcard at the address you’ve listed with a verification code. After you receive the postcard, enter the code on your Google My Business account to complete the process. To personalize your profile page, add an avatar and background image. Your avatar could be a professional headshot, your practice’s logo, or a related image. Your background image could be a photo of your building or a related stock image. 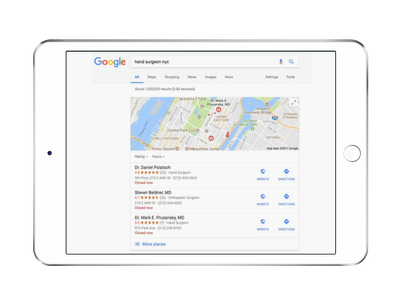 Since so many of your current and prospective patients rely on Google to get their information, it’s important to be able to “meet them where they are” and give them a great reason to seek care from you. A great way to further impress them and best represent your practice is to add videos. To add video to your Google My Business profile, simply navigate to the “Photos” tab from your GMB dashboard and then select “Video” from the top toolbar. This process is very similar to adding photos to your profile, but it allows practice managers and doctors to give prospective patients even better collateral to base their decision about their next provider on. If you’d like more information about adding videos to your practice’s Google My Business profile, click here. Google allows you to choose categories that your business fits in. Categories help you appear in search results when a patient searches for something like “hand surgeon.” You can pick up to five, but make sure they are relevant. Choose a mix of broad and specific listings, if possible. Be careful to avoid choosing plurals of categories you already have listed. For instance, if you choose the category “orthopedic surgeon,” you don’t want to choose “orthopedic surgeons” as well. It’s also important to avoid listing services instead of business type as categories. If you listed “shoulder surgery,” for example, instead of “shoulder surgeon,” Google would penalize your page. Here is a list of some of the most popular categories you can choose from and here is a tool to help you choose relevant categories. Potential patients will find it helpful if you post updated hours on your Google My Business page. They’ll knew what times they can call or visit instead of getting sent to voicemail. Include a few sentences about you and your practice on your page. Avoid keyword stuffing, but do choose one or two good keywords to throw in so Google and your patients can easily understand what you do. If you practice at more than one office location, you should have a Google My Business Page for each location. The practice name at each should be the same, and you should choose the same categories for each. Complete every part of your profile. Avoid leaving any blanks when you fill out your information. That means you need to list your website, phone number, accurate business hours, and business categories. Be sure to add multiple photos and videos of your practice and yourself as well as any photos of your awards and recognitions. It may seem obvious, but if your profile contains inaccurate information, like a wrong phone number, incorrect business categories, or a wrong URL, your page will not show up in the local pack on search results. It’s especially important to have a correct address because Google sends a verification card to your physical location. If you don’t receive that card, you can’t complete your listing. We mentioned it above, but consistency is key. 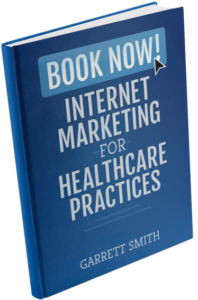 Google crawls your web page and all mentions of your practice on the web. If it finds what it views as inaccuracies–mismatched URLs, multiple phone numbers, or different practice names–it won’t place you in the local pack. Add an appointment URL to your Google My Business profile. Attract more patients with Google My Business Posts.